A lunchtime favourite, many of us are familiar with tuna in its tinned form, but this meaty fish is worth so much more than life just as a sandwich-filler. 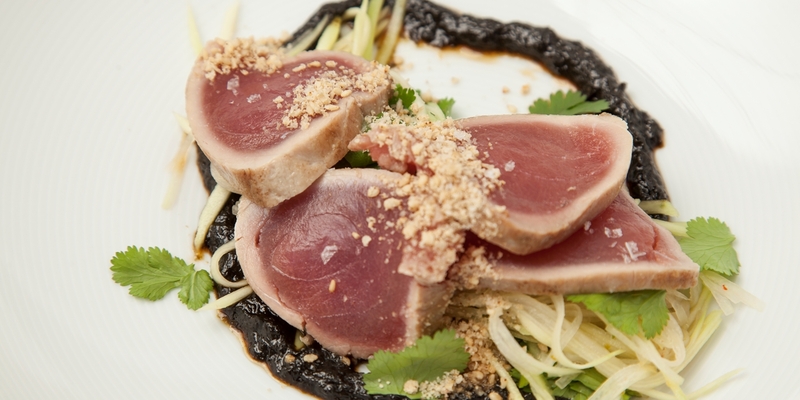 Tuna is incredibly versatile, working in both lighter salads and starters, as well as being a hearty main course when served as a whole steak. Browse through our tantalising collection of tuna recipes, including Pascal Aussignac's French classic of salade Niçoise, and Gary Jones' more inventive ceviche of scallop and tuna with Seville orange. Adam Gray's Mediterranean-inspired seared tuna with a tomato and spring onion risotto makes for an easy and filling meal, that's perfect for a dinner party or weekend lunch al fresco.